Here is one of the outfits I talked about. I love this look because its a very natural yet dressed up nautical look. Its so perfect for Summer and the 4th of July coming up. 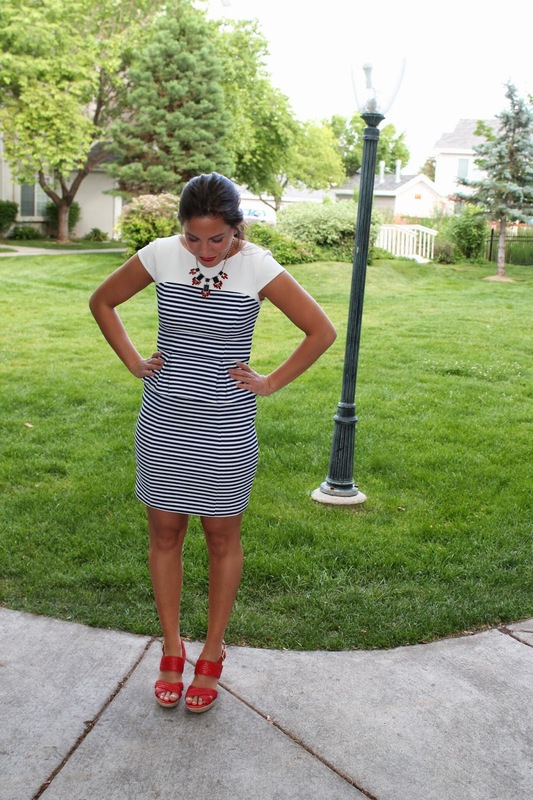 This look incorporated two of the tips I gave on how to wear nautical naturally, think red, white, and blue; and turn to stripes. 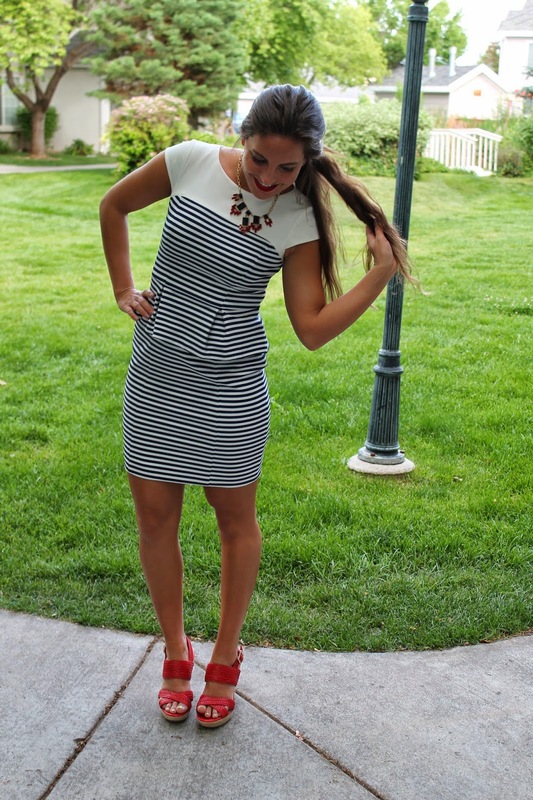 Stripes are your best friend to achieve a nautical look(more on that in a post coming soon). And another great way to achieve the nautical look is just simply wearing the colors red, white, and blue together or separately. Its an easy way to achieve the look but its also very natural looking so it isn't going to be looking like you tried super hard to look nautical. I like to wear the colors with just having a pop of color, or using one as an accent. In this outfit I used the red wedges as the pop of color, but I still get all three colors in one outfit. You are rocking this look, girl! Very nice on you. Love the red shoes. This beautiful, I love this dress and nautical is a favourite of mine. This whole outfit looks even better on person than on the rack. Very cute! I love the details of this dress!